Decatur Presbyterian’s Rev. 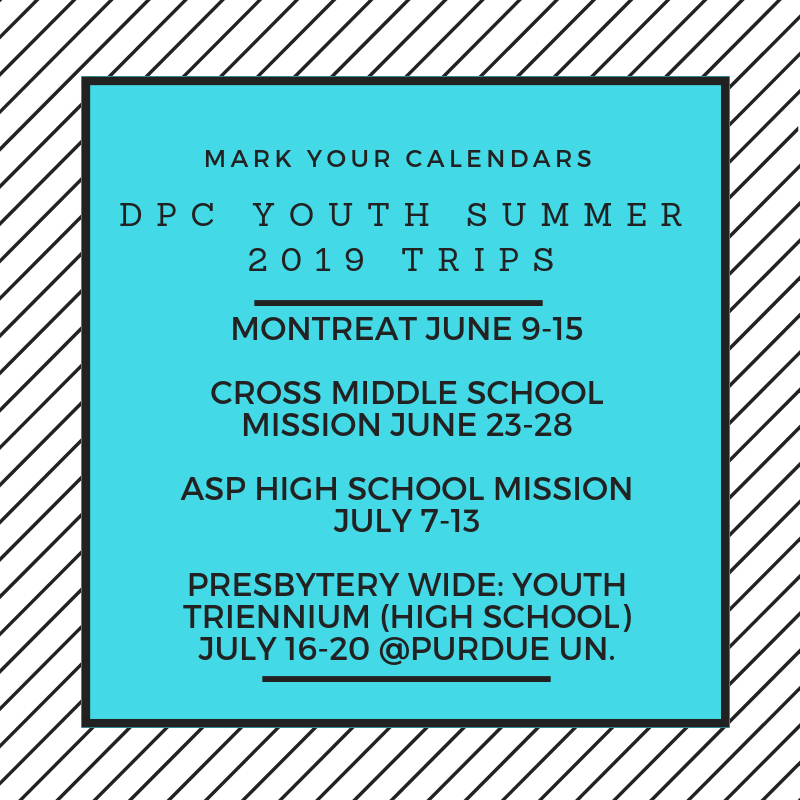 Allysen Schaaf, Associate Pastor for Youth and Their Families has set dates for the 2019 Summer trips for middle and high school youth! High school youth will travel to Montreat for the annual Montreat Youth Conference and to the ASP Appalachian Service Project. Middle School youth will have the opportunity to go to Charlotte, NC for the CROSS Mission Trip at Myers Park Presbyterian Church. If you’re interested in more info on these fun trips that are also significant in helping shape and form faith, contact Rev. Allysen Schaaf at aschaaf@dpchurch.org!